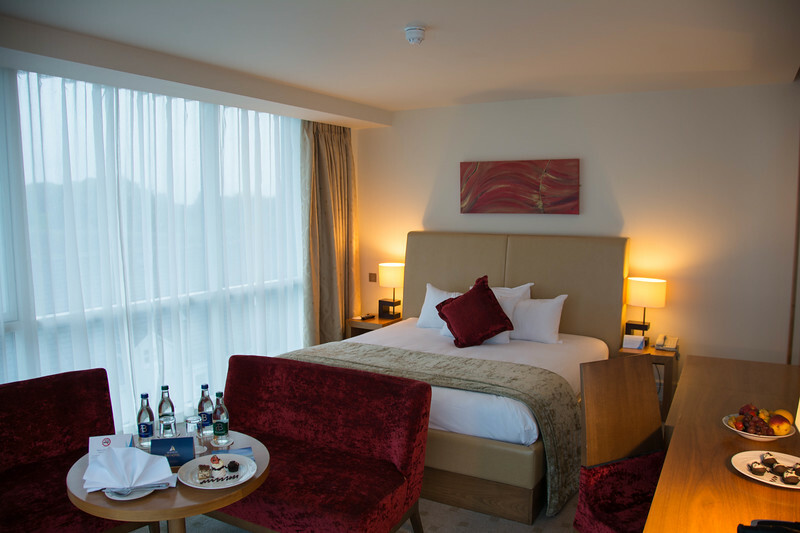 Why Hodson Bay Hotel Is the Best Place to Stay in Athlone? 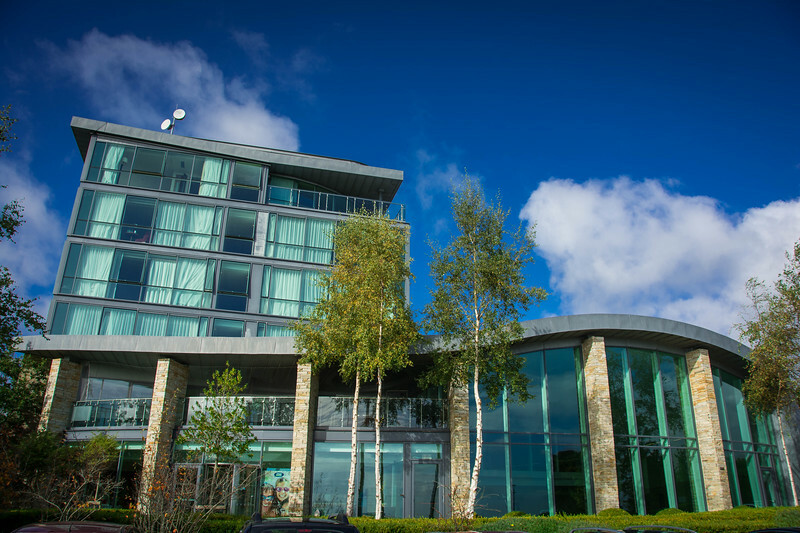 Home Ireland Why Hodson Bay Hotel Is the Best Place to Stay in Athlone? The medieval town of Athlone, located in the heart of central Ireland on the River Shannon, may not be the first place you think about experiencing on your next visit to the Emerald Isle. However, having spent an awesome 24 hours exploring this town and enjoying an amazing overnight stay at the gorgeous Hodson Bay Hotel, we would argue that Athlone is a place that definitely needs to be on your radar. 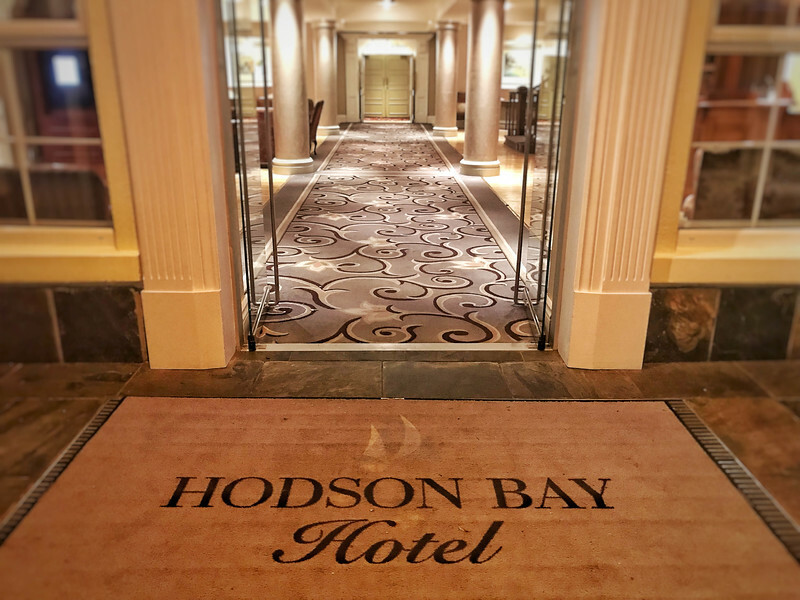 We are not going to bore you with a typical hotel review of Hodson Bay Hotel, though of course, we are going to provide you with an insight into our experiences. Instead, we want to focus on why Athlone should be a place that you consider adding to your next Ireland road trip itinerary! 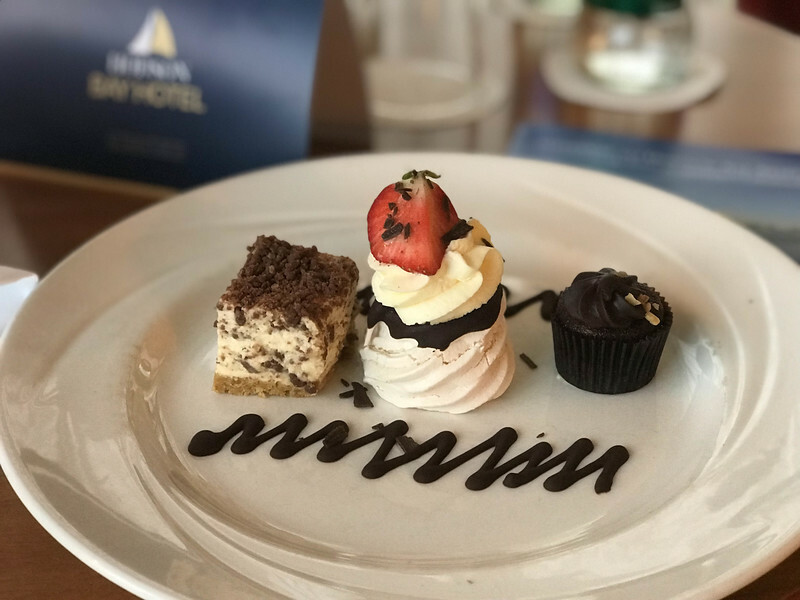 Let’s start by taking a look at why we think Hodson Bay Hotel is the perfect place to stay if you are planning on spending a day or two in Athlone. 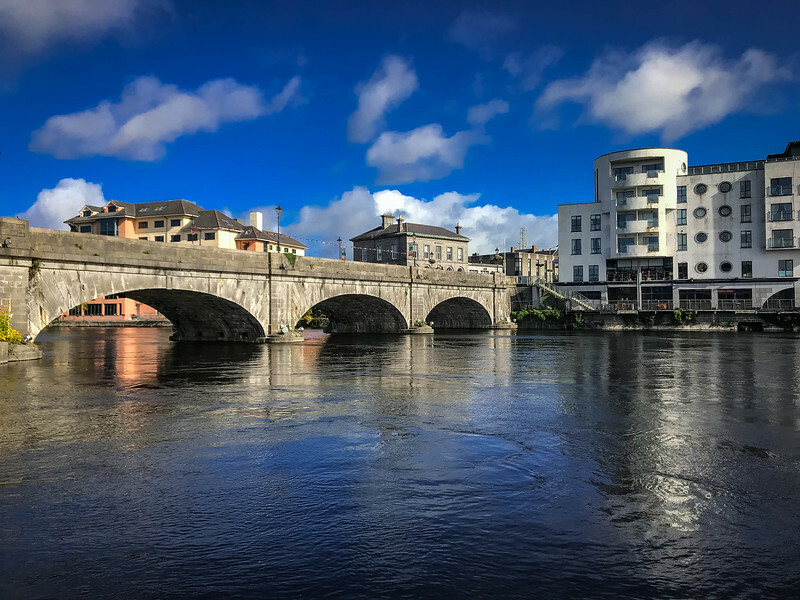 For the history lovers, foodies and architecture aficionados out there, Athlone is definitely a town that you should want to learn more about. 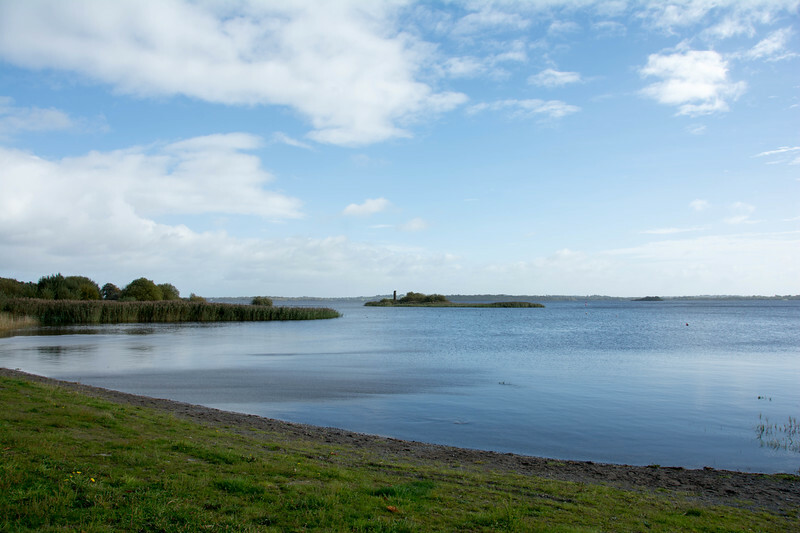 Hodson Bay Hotel is located just a few minutes outside of Athlone town center. If you are looking for the ultimate luxury experience at an affordable rate, it’s fair to say that Hodson Bay Hotel checks all of these boxes and many others! 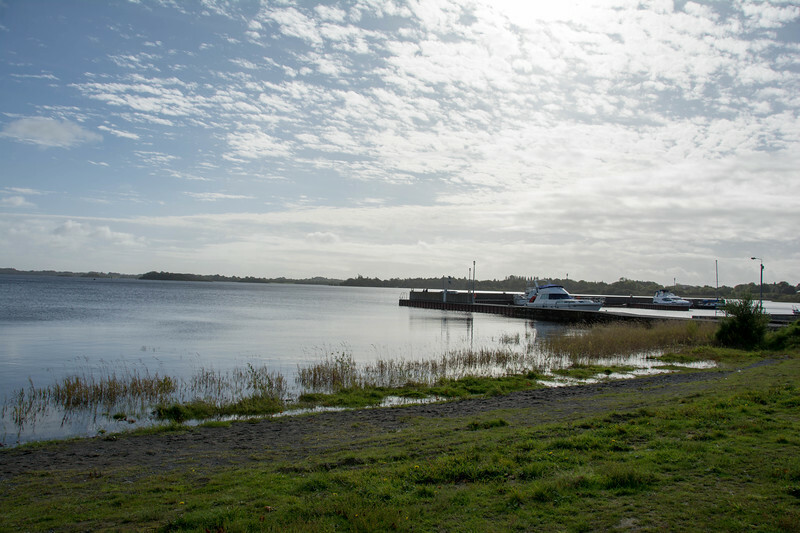 Located on the tranquil shores of Lough Ree, this hotel is perfectly situated for guests to enjoy the natural beauty surrounding Athlone along with being only a few minutes from the heartbeat of life in the town center. 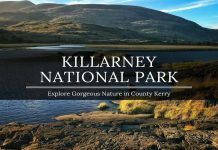 Soak up the scenery and wildlife while strolling along the Lough promenade running along the front of the hotel. Although we only spent one night at Hodson Bay Hotel, we awoke early and took a morning stroll along the promenade before enjoying the awesome breakfast. Enjoying the sights and sounds of a stereotypical Irish rural landscape is certainly something you don’t get to experience every day and this is definitely something that should inspire you to book a stay at this hotel. After a long day of traveling and exploring Wicklow Mountains National Park, we arrived at the hotel fairly late in the evening but we were immediately welcomed and made to feel at home. This was a very different experience to what you would expect in a chain hotel and the customer service was extremely personable and definitely the perfect way to start our stay. 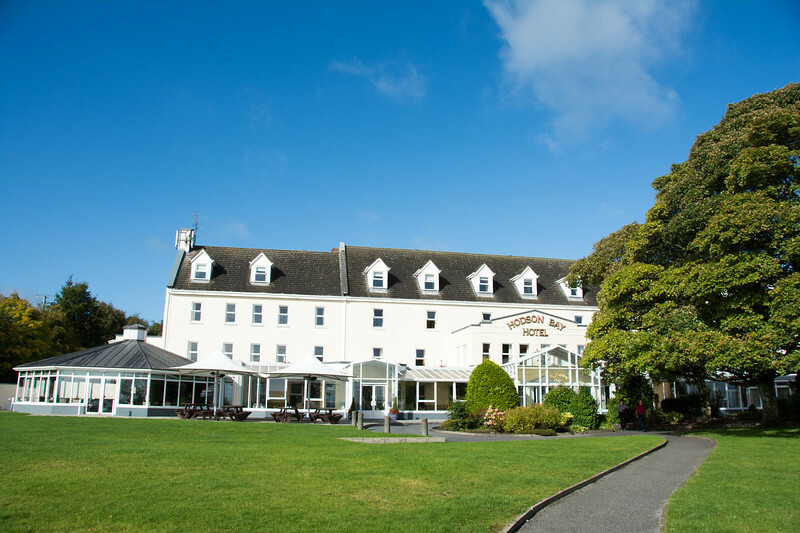 Guests at Hodson Bay Hotel are spoiled for choice when it comes to a myriad of amenities and opportunities to relax. The Spa at Hodson Bay offers guests the chance to completely wind down and relax while onsite therapists provide exceptional service to visitors. From facial treatments to massages and from body treatments to holistic treatments, you can be sure that every spa package you can think of will be catered for at Hodson Bay. A swimming pool and gym offer those that prefer a little more personal relaxation the opportunity to enjoy these amenities while daily onsite activities such as wine tasting are offered to guests, ensuring that everyone is catered for regardless of personal taste. 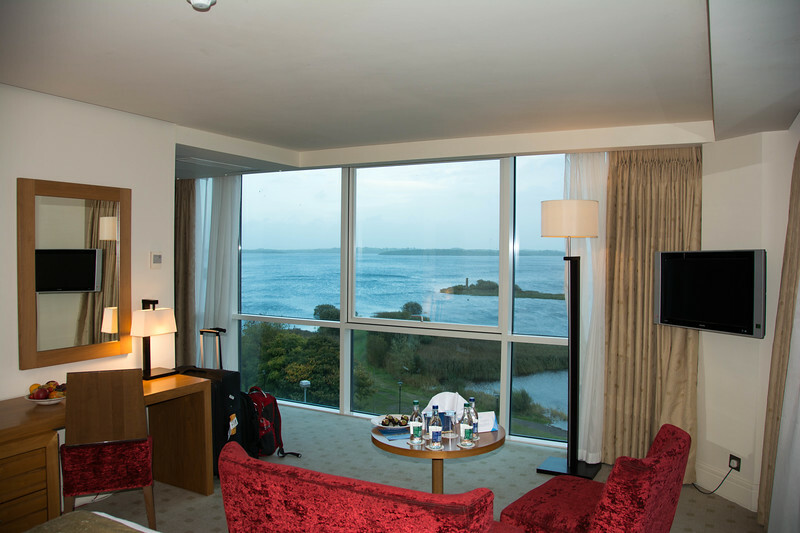 Heading upstairs, we were introduced to our gorgeous corner suite overlooking the shores of Lough Ree. 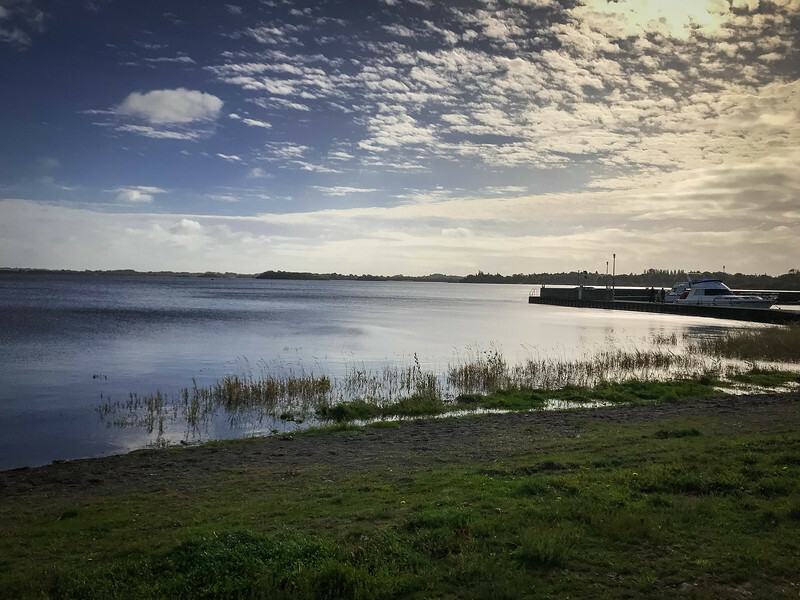 The panoramic views of the Lough along with the nearby Athlone Golf Club provided the perfect setting to enjoy our solitary night stay in the town. Before enjoying the confines of our hotel room, we headed downstairs to sample some of Hodson Bay Hotel’s fine cuisine. 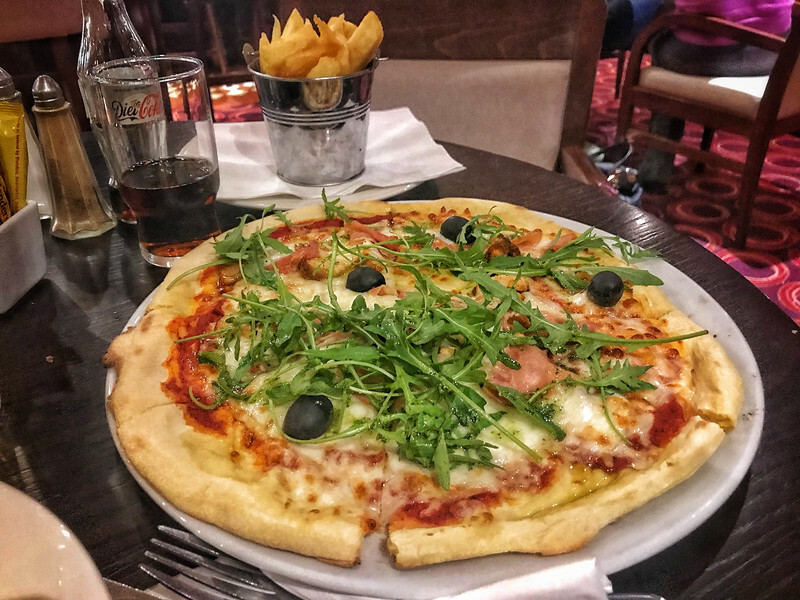 Two main restaurant options are available – Lescale Restaurant, a luxury upscale option for those that want something a little fine-dining, or alternatively, the Waterfront Carvery and Bar which we opted for. The Waterfront Bar was the perfect blend of restaurant and bar and the cozy atmosphere was one that we welcomed as we interacted with locals before sampling a delicious variety of cuisine. 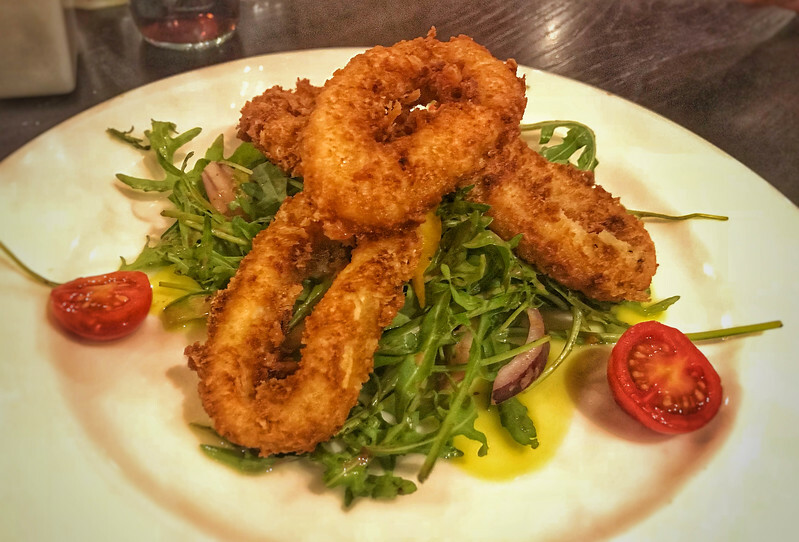 Calamari as an appetizer followed by traditional Fish and Chips and a local specialty pizza were great choices that we would highly recommend. A trip to Ireland may not be the same without sampling a pint of Guinness but I opted for a shandy that was the perfect accompaniment to our delicious food. 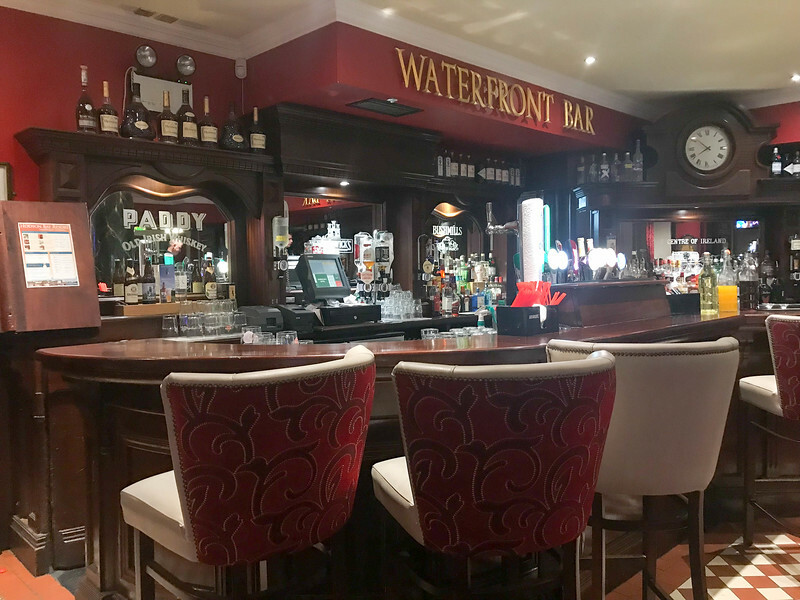 If you thought the Waterfront Bar offered a great variety of cuisine options, wait until you head downstairs in the morning to sample breakfast! A plethora of hot and cold options are available and everything you would associate in a traditional Irish breakfast can be found ranging from eggs, sausage, and bacon to white and black pudding, both of which are items you have to try if you are unfamiliar with them. Views overlooking the Lough make the breakfast room a great spot to relax and start your day while others may prefer to grab a bite to eat before heading into the conservatory to read the morning newspaper with a cup of coffee. 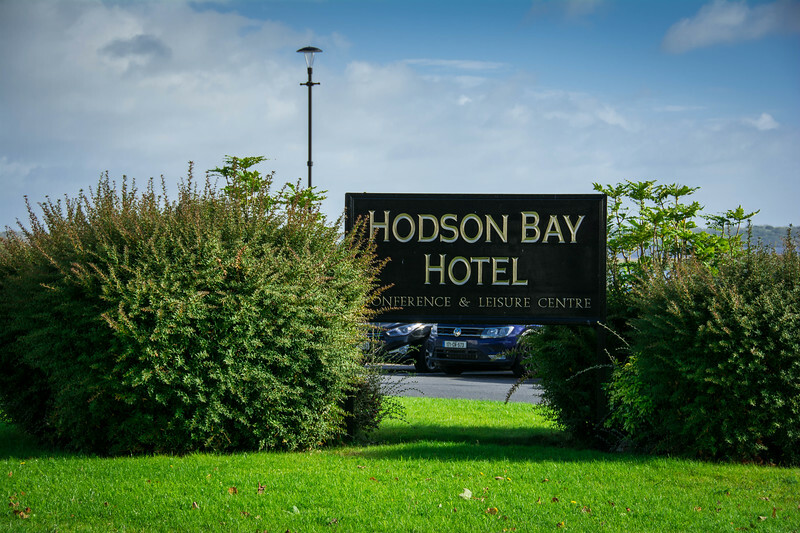 Staying at Hodson Bay Hotel is more than just a hotel experience. 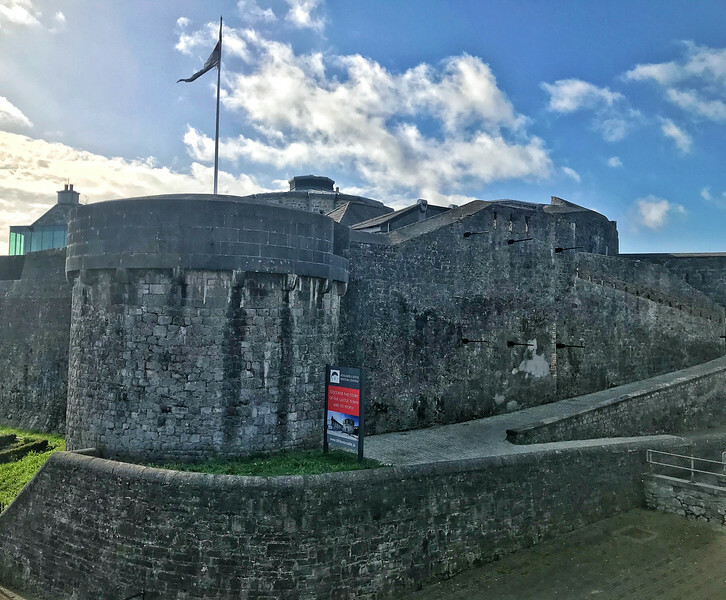 You are literally minutes from exploring a gorgeous part of Ireland and anyone visiting this area should certainly spend some time understanding the history surrounding this historic town. 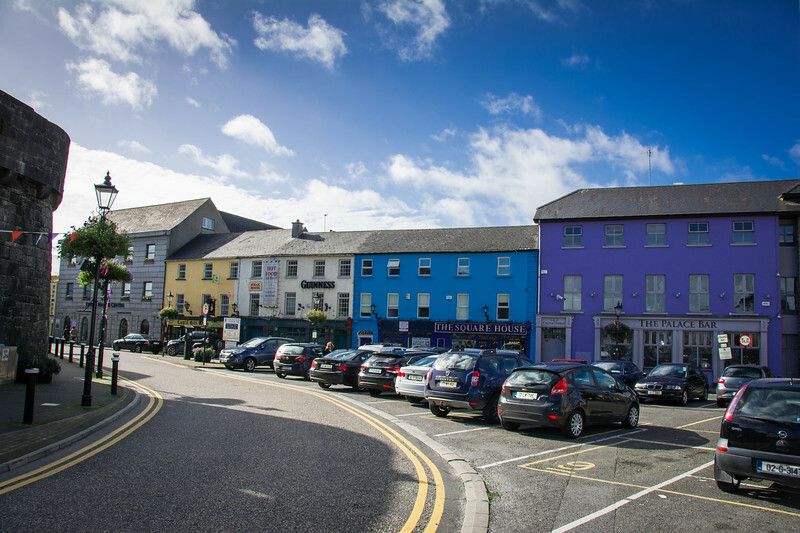 Let’s take a look at some of the best things to do in Athlone. It’s no surprise that the most popular attraction in Athlone is the castle that dates back to the 12th-century. For those of you that love history, this immersive journey through 5,000 years of history is something that you will cherish when visiting Athlone. 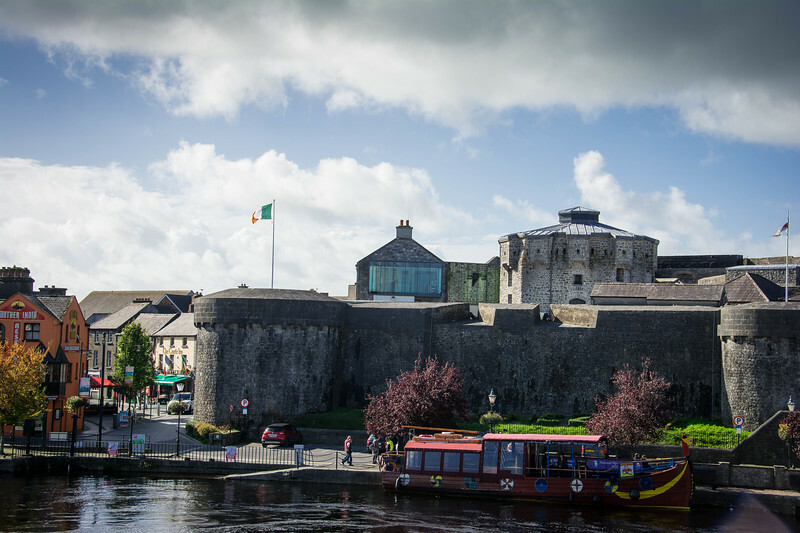 Did you know that Athlone Castle was originally constructed to defend the crossing point on the River Shannon and it evolved into a defensive structure that still has many of the original elements standing today? 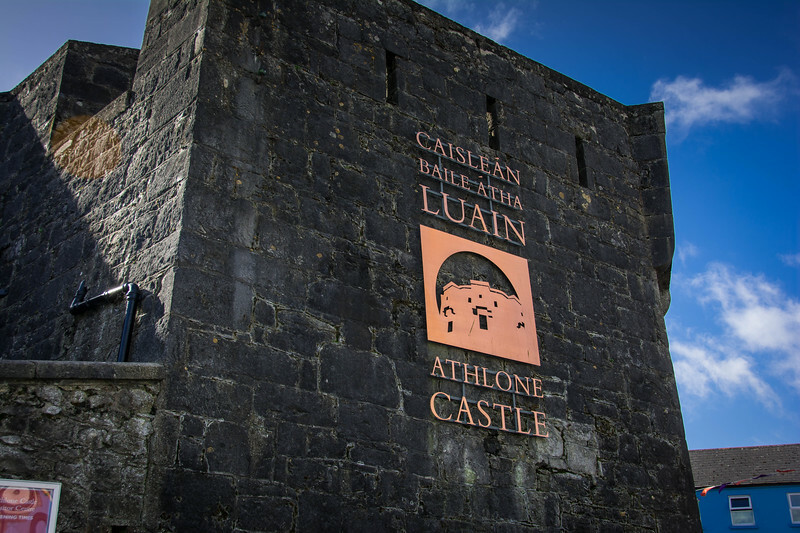 The beauty of visiting Athlone Castle is that you not only have the opportunity to appreciate this historic structure but also learn from local experts the ancient timeline of Ireland’s Ancient East from medieval times to modern day Athlone. When I read the above statement about Athlone Castle, I knew that this was a place that we had to visit! Unfortunately, we chose to stay in Athlone on Sunday night and during our time exploring the town center on Monday, we found out that this was the ONLY day the castle was closed during the month of October. However, we certainly won’t need much convincing to book a return trip to enjoy this awesome experience. Click here for the latest opening hours and admission prices. 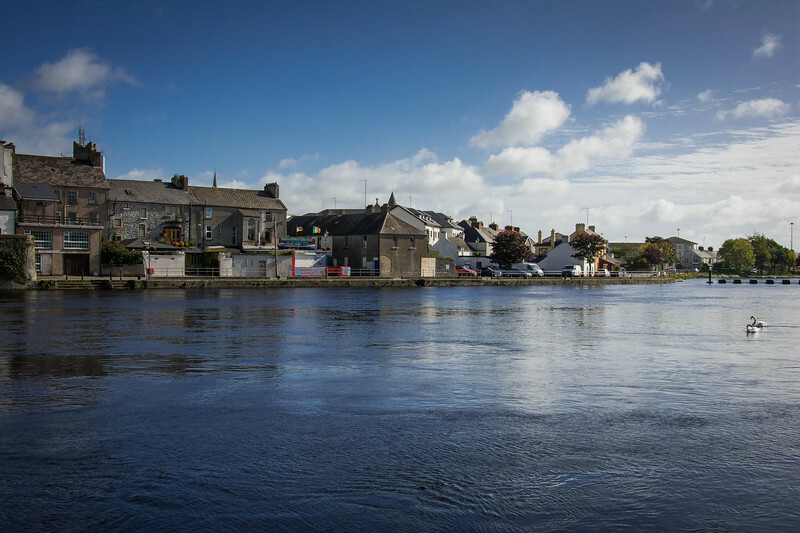 Take a stroll across the River Shannon from Athlone Castle and you will find yourself in the heart of the town center. 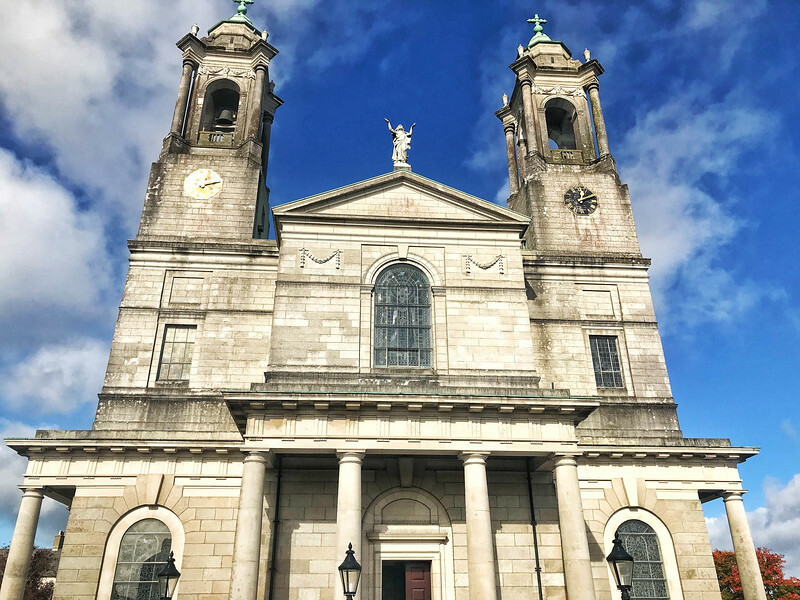 Grab a coffee at one of the many coffee shops or pop into the various boutique shops but ultimately the focal point as you stroll along Church Street will be the impressive sight of St. Mary’s Church. Regardless of your religious affiliation, you cannot help but love the incredible architecture and the intricate detail that has gone into the construction of this structure. 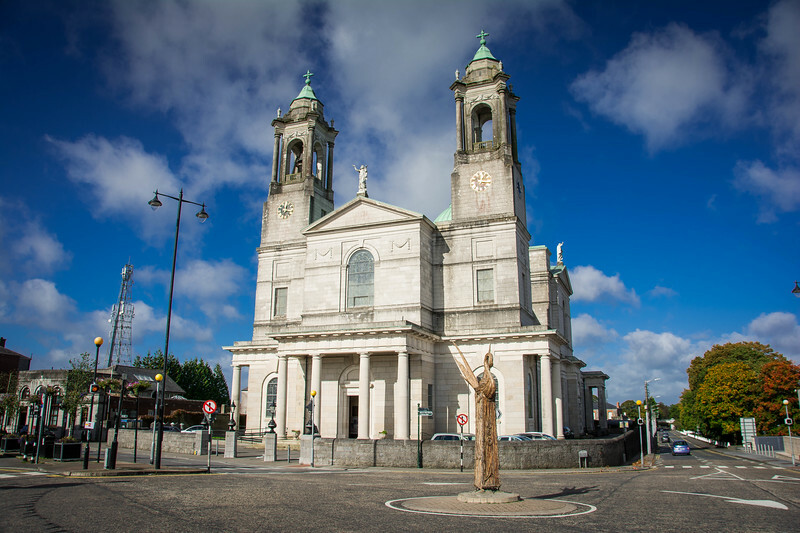 Dating back to the early 19th-century when initial construction was completed, this Catholic parish has played an integral role not only for locals to practice their faith but also as a central focal point in Athlone. 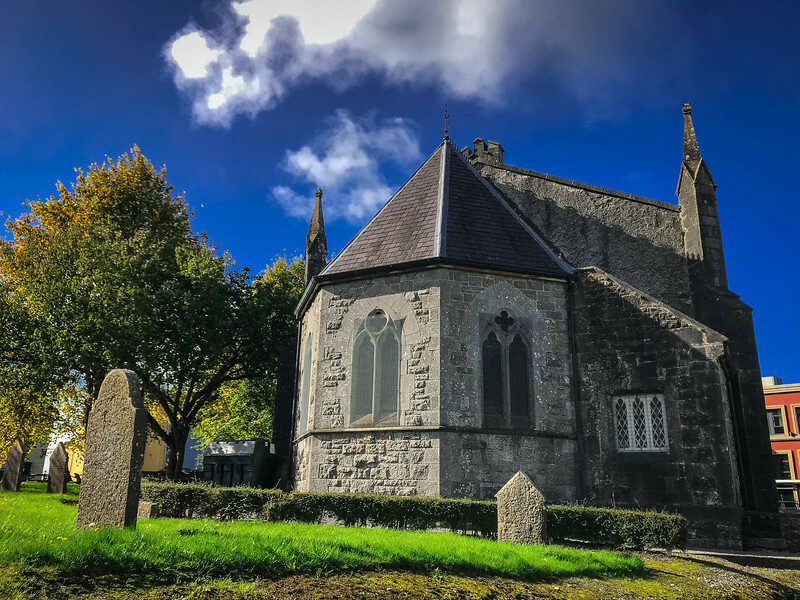 In conjunction with the parish of St. Peter and St. Paul on the western side of the River Shannon (directly opposite Athlone Castle), the population of Athlone have two gorgeous places of worship that they can be proud of. I briefly mentioned Lough Ree earlier but this lake is the perfect place to enjoy a relaxing walk if you want to be away from the hustle and bustle of the town center. For those of you choosing to follow our recommendation of staying at Hodson Bay Hotel, not only will you be able to appreciate breathtaking views across the Lough from the hotel but you can also wake up and take a morning walk around the shores of the lake every day. 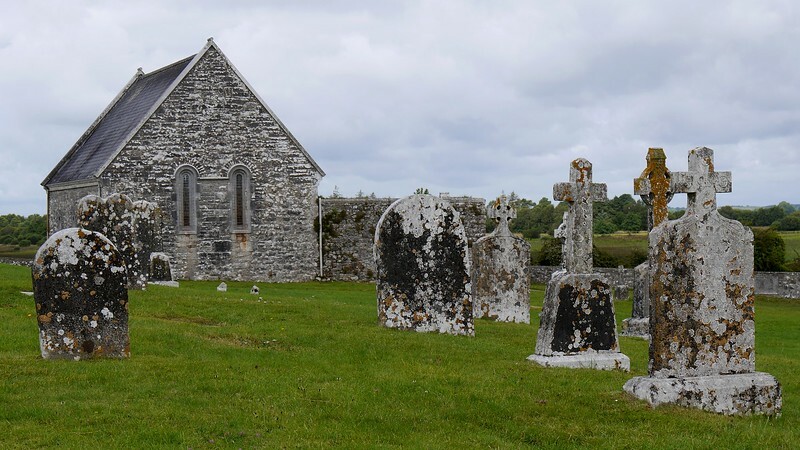 The monastery of Clonmacnoise is situated about 20 minutes south of Athlone and definitely a must-see experience while in the vicinity. 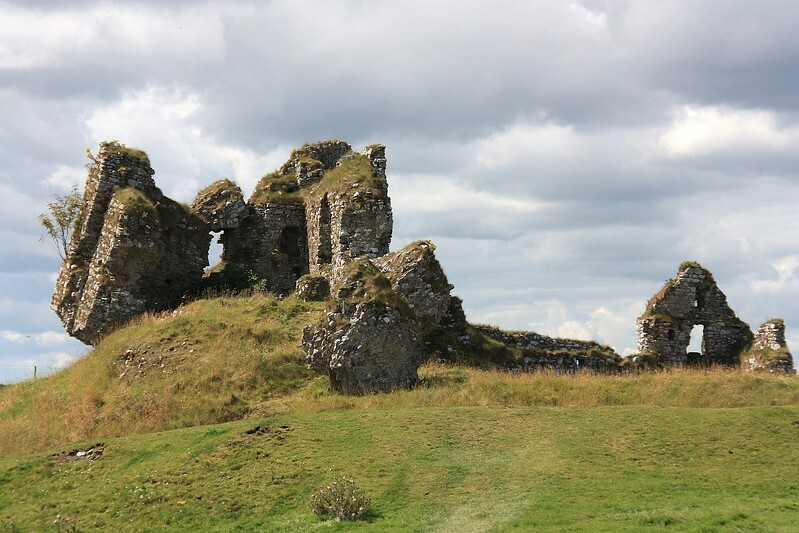 This ancient site is understandably a popular tourist attraction among visitors to Ireland but at the same time, frequently goes unnoticed as visitors opt to explore other areas of Ireland rather than the central region. 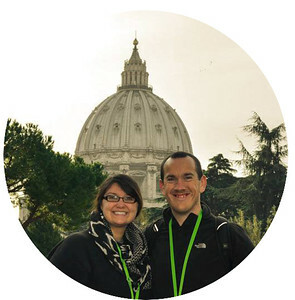 Founded by St Ciaran in the mid-6th century, this was once a prosperous learning center for both religion and education. Scholars from all corners of the globe would visit Clonmacnoise and many iconic, historical manuscripts were produced here. Today, visitors can enjoy a well-preserved set of ruins featuring three high crosses, a cathedral, seven churches and two round towers. 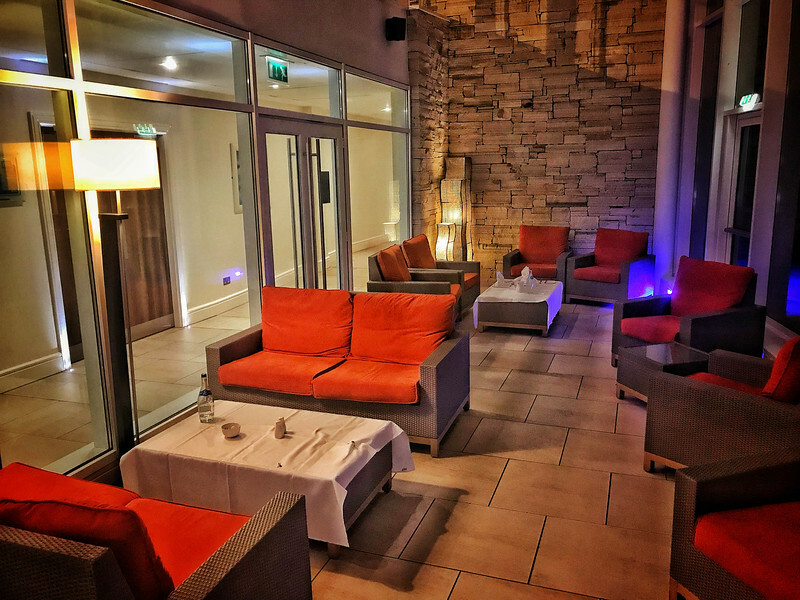 Hopefully after reading this post you will not only be convinced to book a stay at the Hodson Bay Hotel but more importantly, realize that Athlone is a great place to experience in the heart of Ireland. 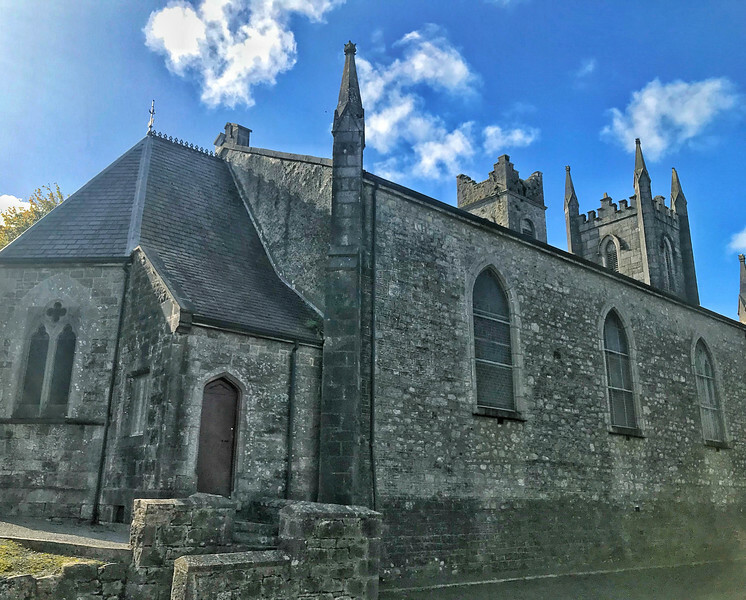 As we road tripped around Ireland, we spoke with several locals and mentioned to them that we had spent the night in Athlone and they indicated that it’s one of the lesser known towns in the country, despite its central location. We are convinced that if you like affordable luxury (I think we all do right! ), Hodson Bay Hotel is the perfect place to enjoy a relaxing evening while sampling a myriad of delicious cuisine. Of course, it wouldn’t be the same without a pint of Ireland’s finest Guinness or if you prefer, a shandy to accompany your cuisine choices! 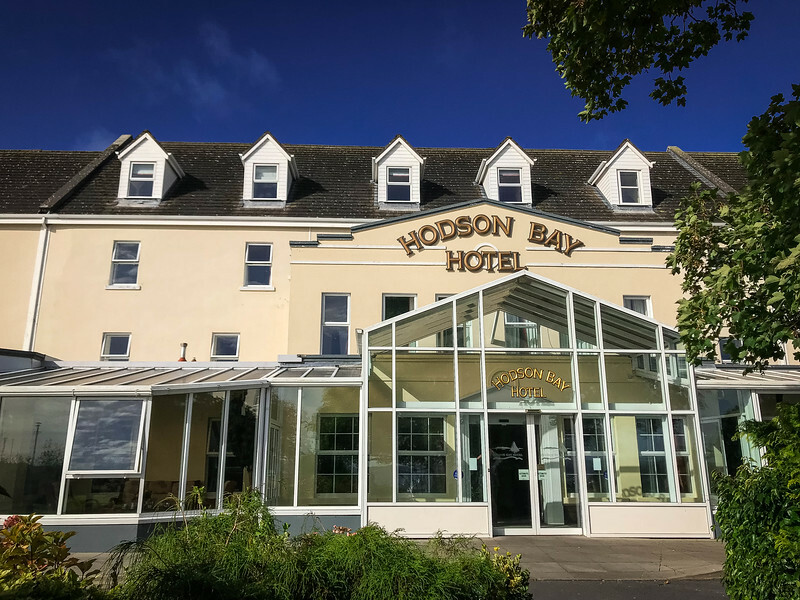 Disclaimer – We would like to thank the Hodson Bay Hotel for hosting us for a one-night stay in exchange for consideration of a blog post review. These are solely our personal opinions/experiences and we were not financially compensated for this post. Next articleWhy Black Dinah Chocolatiers is the Perfect Christmas Gift? 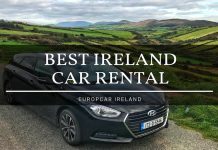 Why Europcar Is the Best Car Rental Company in Ireland? 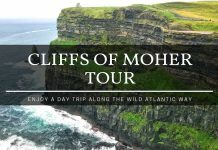 Cliffs of Moher Tour – How to Enjoy an Amazing Day Trip? Sometimes you find a non-touristy city and enjoy it as much as the “talked about ” places. It looks like you did that here and had a wonderful stay. We did the same in Dover a few years back – no crowds but some amazing sites. Wow, what a hidden gem! Thanks for sharing, definitely adding this to future list of places to visit. We love out of the way places, thanks for sharing. This one has gone onto the travel wish list! What a gorgeous area. I had never even heard of Athlone. Love the castle, church and old monastary in the old town or near Athlone. I love the view of Hodson. That pic from inside your room overlooking the bay is amazing.